Karaoke parties have become a much-loved tradition here at Calvary. 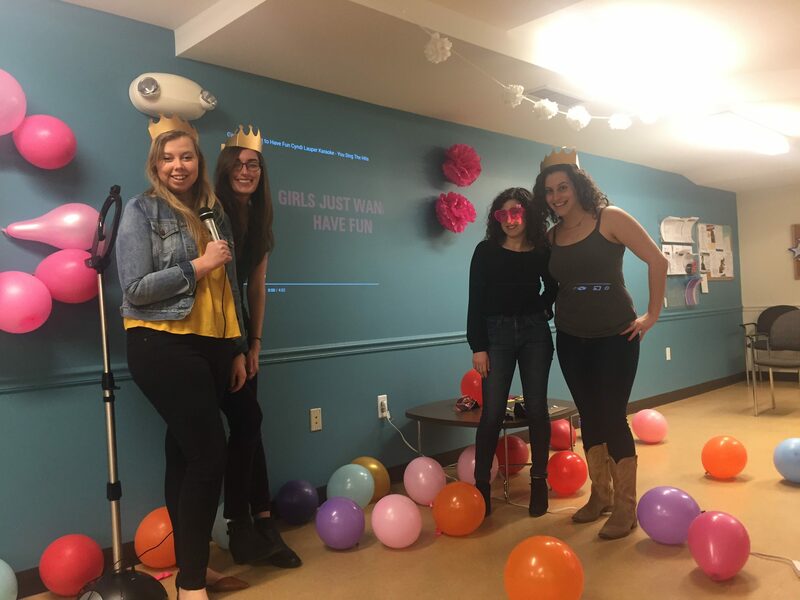 On the third Saturday evening of each month, volunteers come in and host a karaoke party for Calvary residents – we’ll provide the karaoke machine and you’ll provide the theme! Past themes have included Throwback Night, Female Ballads and Jazz Classics. Come prepared with song suggestions, decorations or props. Volunteer groups should plan to arrive at 6:30pm to setup, and karaoke parties take place from 7:00 to 8:30pm. Volunteers are required to make a commitment to host 3 parties per year and can extend based on the volunteers’ availability. Come spend the night singing and dancing with women at Calvary! Three parties per year, from 6:30 – 8:45pm on the third Saturday of the month. Ready to host Karaoke Night at Calvary?